Senge H. Sering – director of the Gilgit-Baltistan National Congress – aims to draw attention to the urgent situation in Gilgit Baltistan as he visits Geneva during the thirty-third Human Rights Council, specifically highlighting the issue of land grabbing and displacement. Gilgit-Baltisan is in a constitutional limbo since Pakistan seized control over the region in 1949, granting it no mechanisms to defend itself as Islamabad ruthlessly implements the China-Pakistan Economic and Defence Cooperation (CPEC). In addition to highlighting these injustices, Mr Sering urges the UN to look into Pakistan’s suspected ties with Islamic terrorist groups like ISIS. 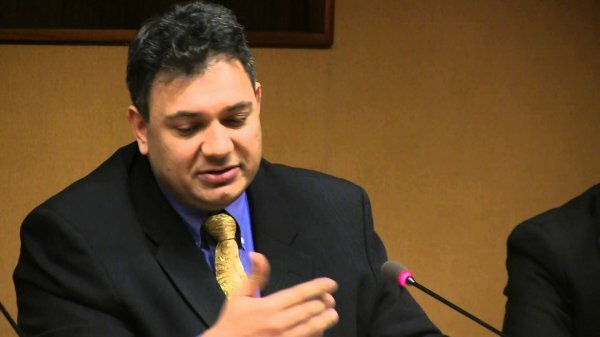 Geneva [Switzerland], Sept. 13 : Maintaining that people of Gilgit-Baltistan are deprived of their basis rights, Senge H Sering, Director of Gilgit-Baltistan National Congress said that he would try his best to inform the United Nations about the human rights violation and atrocities carried out by Pakistan in the region. "We will try to tell the member states of the UN that how the people in Gilgit Baltistan are deprived of their rights and no Constitutional institutions are being given to them by Pakistan. It is done so that the lands can be grabbed, the identity be reduced to minority or attack be made on their identity," Sering told ANI. Pointing out that in Gilgit-Baltistan there is mass land grabbing going on and people are being displaced on a large level, Sering said that in the next two years the density will only increase, adding the issue of land rights and water issues in Gilgit Baltistan and the rights that they have on it will be raised before the UN. He was also of the opinion that the issue of Gilgit-Baltistan gets overshadowed by Pakistan raising the issue of Kashmir.
" We will try to best to give all the information to the UN about the the human rights violation and atrocities in Gilgit Baltistan which gets shadowed by Kashmir issue and by which Pakistan continues their atrocities in Gilgit Baltistan," he added. Taking a jibe at Pakistan for having a very weak case on Kashmir, he said that day by day the world is getting to know their weakness about Kashmir and are being exposed. Talking about Pakistan Prime Minister Nawaz Sharif's step of nominating 22 senators to raise the Kashmir dispute during the United Nation General Assembly session, Sering said that international community should understand that Islamabad has no support from people of Kashmir, Gilgit Baltistan, Muzaffarabad in representing the issue. "International community should understand that Pakistan has no people from Kashmir, Gilgit Baltistan, Muzaffarabad in representing the issue and that is why they are using their senators to lobby for Kashmir," he added. Sering said that the UN should see that if Pakistan has favourable opinion with Jamaat-e-Islami and Hizb-ul-Mujahideen, then this only shows that it is not serious to curb militancy in the region, adding that there should be an investigation on Islamabad's role in association with these groups including ISIS.